Share the post "These 27 Brilliant Life Hacks Are Going To Make Life A Lot Easier"
There are people, all over the world, who are inventing new products every day. I’m not that creative, but at least I know someone is doing it. I’m personally a sucker for new, neat gadgets… and hopefully you are, too. Even if you’re not looking to make your life a lot easier you’ll want these 27 clever household items. Believe me, you’re going to want to buy everything on this list. Especially #7. 1.) 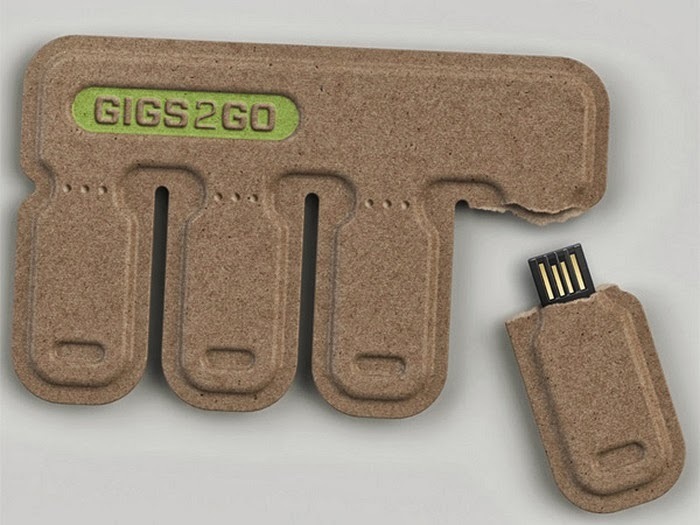 USB sticks to go. 2.) 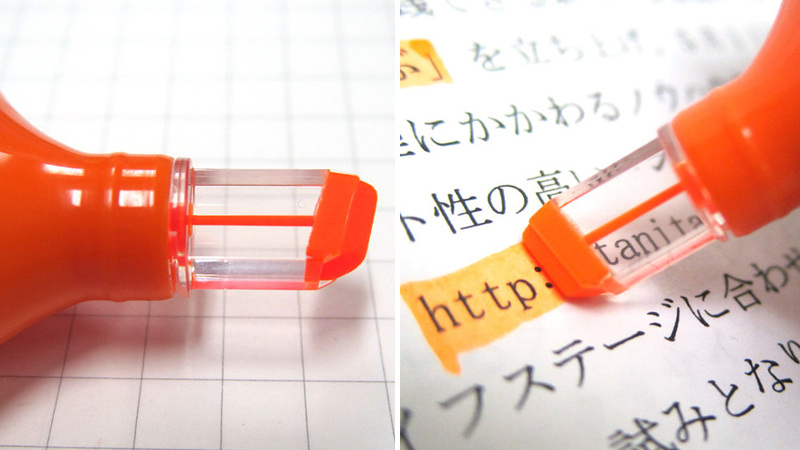 A highlighter that lets you see where you’re highlighting. 3.) Hold your books in style. 4.) Lock and unlock your doors using your smartphone. 5.) 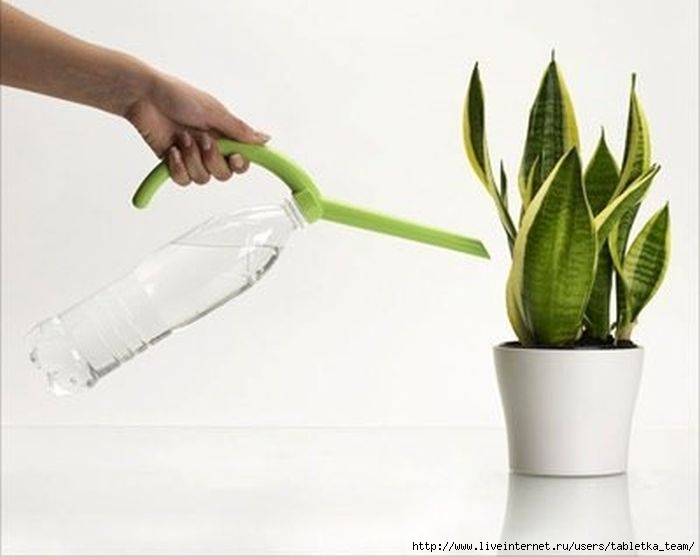 Water bottle to watering can. 6.) Portable roof rack road shower. Great for camping. 7.) Never forget your todo list again. 8.) Water bottle for storing all your valuables. Great for the gym. 9.) 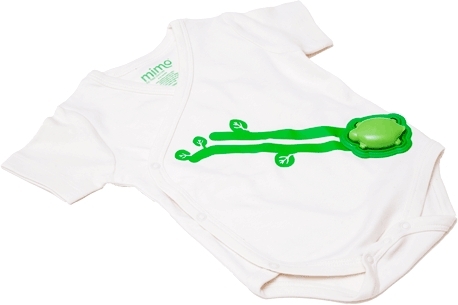 Onesie that monitors all your baby’s vital signs, and streams the data to your smart phone. 11.) Greatest cooler ever. Comes complete with a bottler opener, a blender, and a phone charger. 12.) 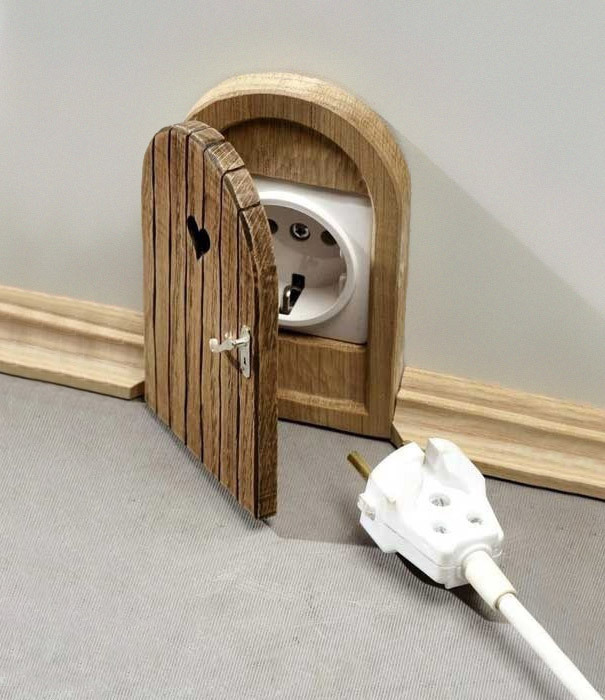 Mouse hole power outlet cover. 13.) Wine sippy cups for adults. 14.) 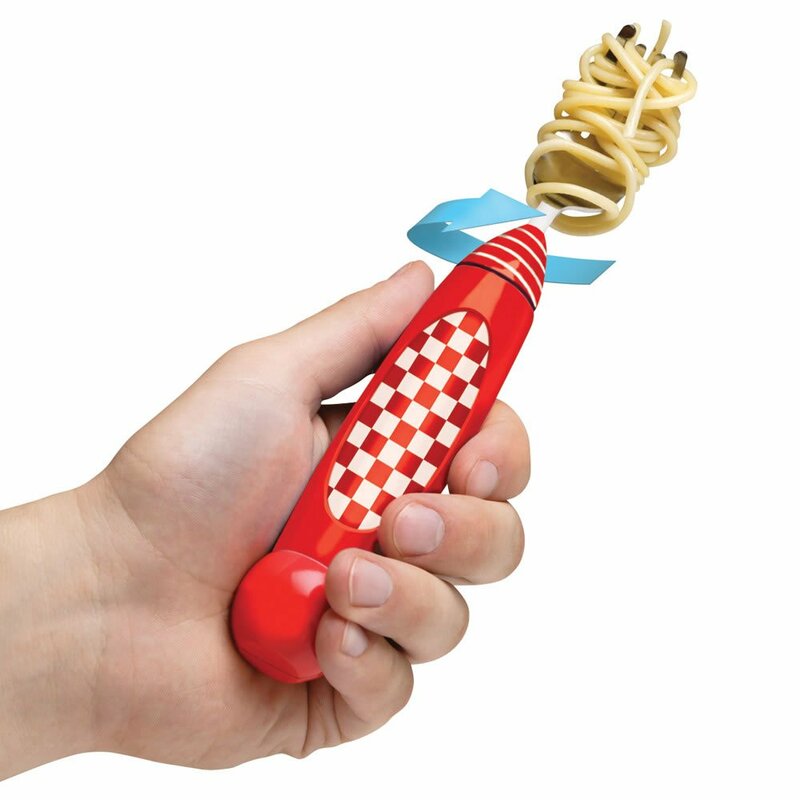 Self rotating spaghetti fork. 15.) 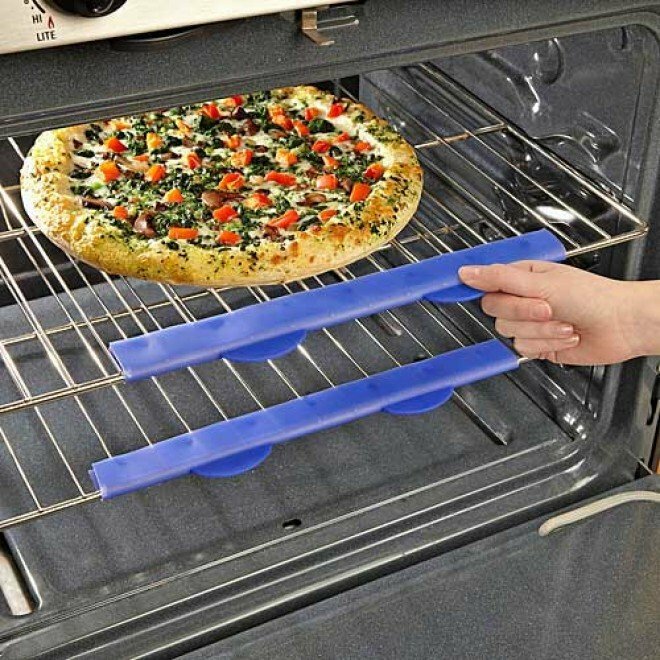 Silicone pull tabs for your oven. 16.) Alarm clock that displays your whole day. 17.) Make guitar picks from your old credit cards. 18.) Passcode locked USB stick. 19.) A self-heating butter knife. Perfect! 20.) Never miss the toilet in the dark again. 21.) Charges your phone while burning wood. 22.) 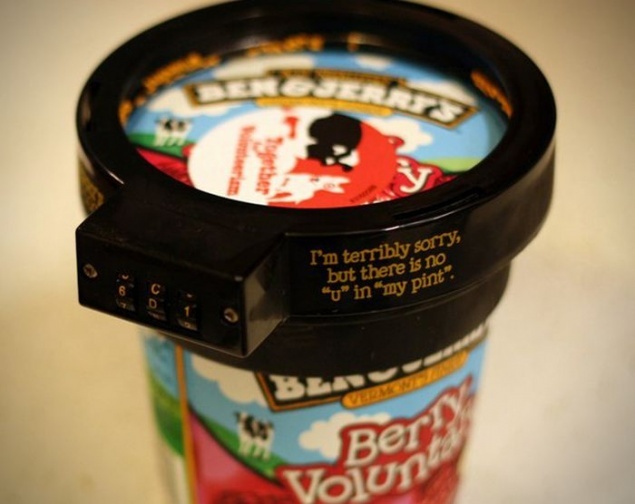 Padlock for your delicious ice cream. 23.) 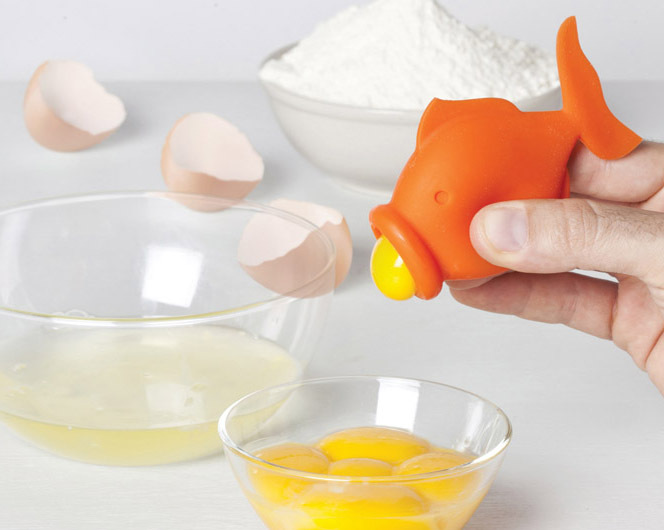 A handy, dandy egg yolk separator. 24.) Double snack dish. Great for olives, or pistachios. 25.) Coin purse that looks like a rock. 26.) Oil lamp that projects a tree. 27.) 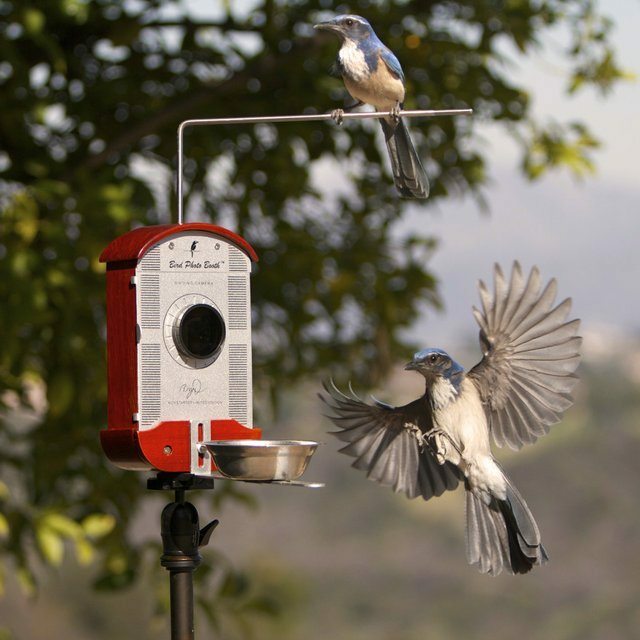 A bird feeder with a built in camera. Sincerely, I need to buy all of these. They may seem like superfluous products, but they are the kind of things you’d miss once you get used to having them. Don’t forget to share these fun, clever inventions with your friends by clicking below. « Here’s What It’d Be Like If Guy Best Friends Acted Like Girl Best Friends	» This Dog Gets The Best Surprise Possible. Watch Why She Absolutely Flips Out.